Floodwaters finally recede in N.B. Water levels have dropped below flood stage in most areas of the St. John River in what has become the worst flooding event ever recorded in New Brunswick. The Emergency Measures Organization says only in the Jemseg area will levels be just above flood stage. The Trans Canada Highway between River Glade and Oromocto finally reopened Friday after being shut down for a week but dozens of roads remain closed due to flooding. The Canadian Armed Forces has deployed 60 members to assist the provincial government with flood cleanup. Almost 1,700 residents have registered with the Red Cross as evacuees and many who have returned home are finding heavy water damage to homes and cottages. After steadily rising for more than a week, water levels along the southern portion of the St. John River have surpassed the historic flood in 1973. Environment Canada is forecasting more rain for Southern New Brunswick with up to 20 mm possible by Monday after 30 mm fell Friday and early Saturday. The Coast Guard and the Department of Fisheries and Oceans have provided vessels to help with evacuations and Transport Canada has deployed surveillance aircraft. Almost 1,000 people have registered as evacuees with the Red Cross. Many roads have been closed by the flooding including the Trans Canada Highway between River Glade and Oromocto – the detour through Saint John adds one hour of travel time between Moncton and Fredericton. Floodwaters covering the road near Jemseg have forced the closure of the Trans Canada Highway between Moncton and Fredericton. The Emergency Management Organization says the road could be closed for several days until water levels recede. A long detour forces travellers to go through Saint John via Routes 1 and 7. EMO says the water continues to rise along the southern St. John River and may exceed levels last seen during the historic 1973 flood. A late winter storm missed the Maritimes and took aim at Newfoundland instead delivering heavy snow to much of the island on Tuesday. Schools were closed and many businesses and government offices shut down. 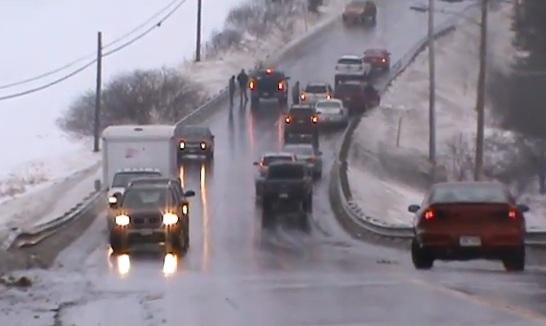 Drivers were urged to avoid the Trans Canada Highway in western Newfoundland as road conditions worsened. With a cold, intermittent rain shower, the thermometer barely reached 7 C at midday in Greater Moncton and with strong winds gusting near 70 km/h, the wind chill made it feel more like -3 C.
Did I mention it was the middle of May and it also snowed today in western New Brunswick and in the neighbouring State of Maine? Up to 20 centimetres of snow fell over Carleton and Victoria Counties thanks to a blast of Arctic air and a low pressure system moving through the region. Forecasters say temperatures will improve as the week goes on with highs near the seasonal mark of 17 C by Thursday. 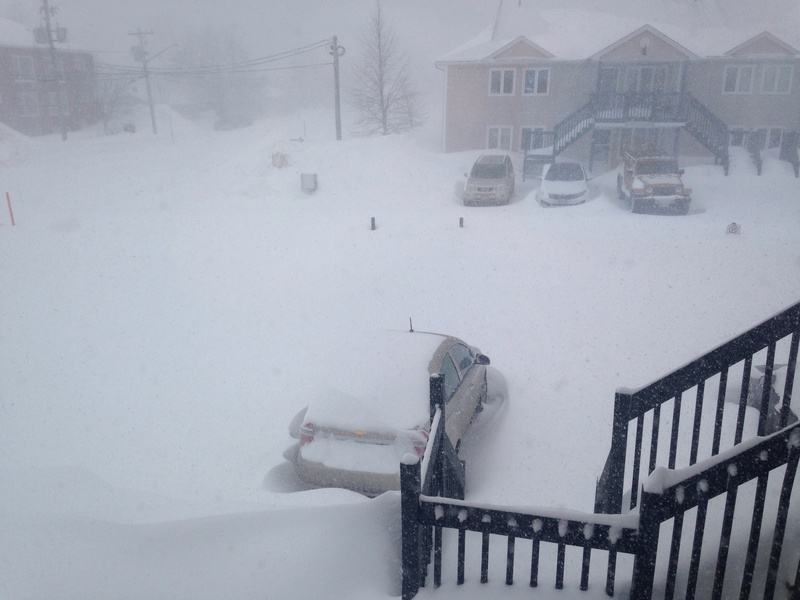 Yet another blizzard has battered the Maritimes with heavy snow and blowing snow throughout the region. 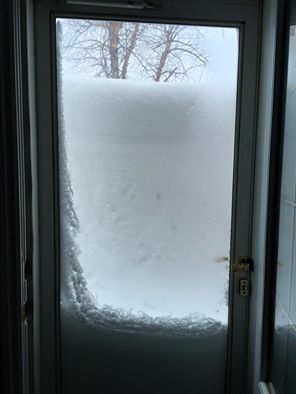 Greater Moncton received 44 cm of snow which is on top of the 93 cm already on the ground. Prince Edward Island had at least 50 cm and Cape Breton Island was also hard hit by the storm with Sydney getting walloped with almost 60 cm. Portions of the Trans Canada Highway had to be shut down, the Confederation Bridge was closed, flights were cancelled and Champlain Place Mall didn’t open for two days in a row. Officials at Poley Mountain Ski Resort near Sussex reported 75 cm of fresh powder today which will likely mean an extended season on the slopes. The third blizzard of the winter season slammed Greater Moncton early Sunday morning but many businesses including Champlain Mall had already announced they would be closed the night before the latest storm hit. Highway travel was virtually impossible in Southeast New Brunswick today with RCMP closing a number of highways including the Trans Canada between Moncton and Amherst due to extremely poor visibility in blowing snow. 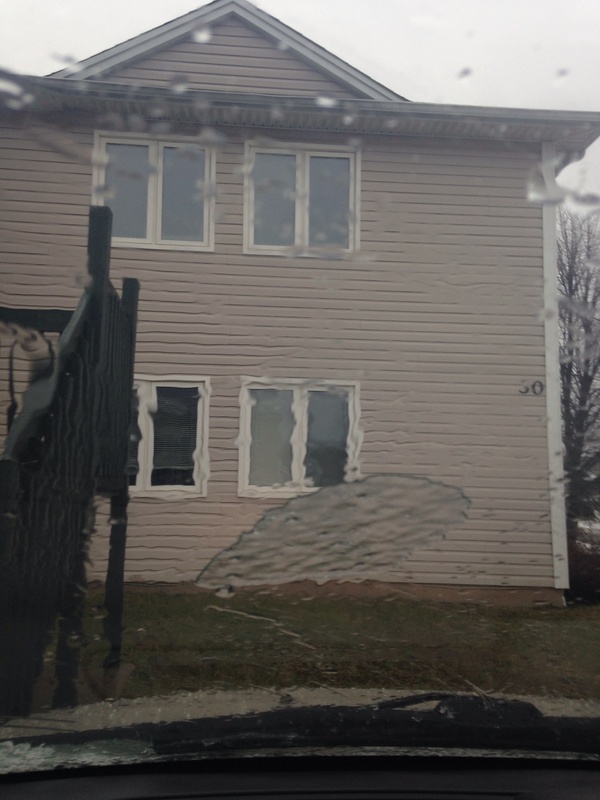 Freezing rain started falling in Greater Moncton by mid-morning during a changeover from snow to rain and that is when the trouble began. Many drivers were caught off guard and some vehicles spun out, others simply slid off the road while transport trucks jack-knifed as icy conditions quickly developed. Around midday, roads became so treacherous that RCMP closed portions of the Trans Canada Highway across Southeast New Brunswick. Once temperatures rose and rain began falling, road conditions improved but police were still telling drivers to slow down and use caution. Numerous record highs have been shattered across New Brunswick during a significant January thaw. In Greater Moncton, the thermometer reached 11.2°C today which breaks the old record of 10.7°C from 1980 and is the warmest spot in the province. Other record highs include 10.1°C in Kouchibouguac and 10.2°C in Alma while the national warm spot was in Cheticamp, Nova Scotia with a spring-like 14.2°C. Precipitation began as freezing rain yesterday and before the temperature rose and the rain started, roads became extremely icy across New Brunswick. Some sections of the Trans Canada Highway were shut down after the road resembled a skating rink. UPDATE – Strong winds gusting to more than 100 km/h were reported in parts of Nova Scotia which brought down tree branches and destroyed many signs in the Halifax area.